17 February 2015 by . It is very important for us to refer back to our last reflection that ended with these words: “God waited for the Church of the Earth to be ready to announce all the people of the universe the salvation of Jesus Christ. He called her in many ways and will continue to do so; but the Church does not hear or pretends not to hear. The extraordinary instruments carry out what the Church of the Earth should have done. All those who are called by God are united around these instruments, including the Earth, to make one people out of many peoples, that is, His people.” He adds: “The time has come in which these words will come true, and every man who lives in the universe shall know that he is a child of God through Jesus Christ in the Holy Spirit. Nothing will ever prevent this from happening because God has so decided.” You may notice the essential point in this passage: God is waiting for you to join the instruments and to form a people who respond to God’s call; today we will introduce two sublime instruments without whom God’s plan cannot be realized, that is, without entering into communion with them, as through them we will join the programme of God. In the book “The Universe and Its Inhabitants” little is said, just a few lines, about the sublime instruments, Mary Most Holy and Saint Joseph. Therefore, we have prepared the essential points about the sublime instruments as we have already spoken about Mary Most Holy and Saint Joseph in several occasions, and even God has spoken about them several times. Good listening. They are Mary Most Holy and Saint Joseph who watch especially over the people of God and His three extraordinary instruments in this time. 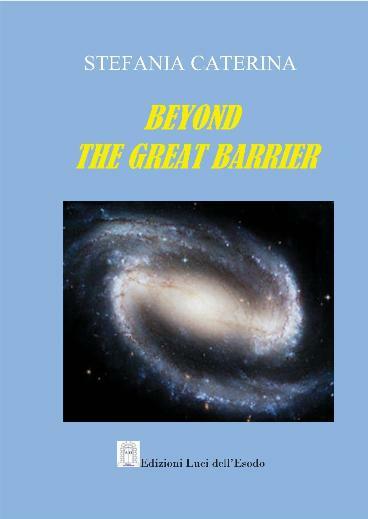 Their maternity and paternity work in favour of the whole humanity in the universe. The prayer and intercession of Mary Most Holy and Saint Joseph are fundamental for the realisation of the plans of God. You would do well to pray to them and be united to them now more than ever. “When I died on the cross, there was no-one around me apart from my Mother who joined my sacrifice. The women and the apostles they certainly loved Me but did not understand what was taking place in front of their eyes. They had not received the anointing of the Holy Spirit yet to be able to understand fully what the offering of oneself to the Father in union with Me meant. They would understand it later. However, my Mother was prepared for this; it had to be so because I could not die alone on the cross. I had to unite to my sacrifice all those who would hand themselves over to Me along the centuries. Mary was the first human being in the universe who was perfectly united to My sacrifice on the cross and who participated fully in My resurrection. My Mother has been the first living being to have fulfilled the Easter Passover. All others have joined together with her, through her, after her. Also the humanities of other planets faithful to God from the beginning, who accompanied Me with their prayer during my journey on Earth, were united to Mary in the moment of My sacrifice on the cross. My Mother was the one who opened the way and reached the perfect union with Me on the cross, beyond the cross, for eternity. […] In My Mother, before anyone else, my Easter passage from death to life incarnated and became visible. Her presence in the middle of the apostles was fundamental: after receiving the Holy Spirit, the apostles and disciples understood everything but only through Mary they entered fully into my sacrifice and united with Me. In God’s project St. Joseph was united to Mary Most Holy in a very special way. St. Joseph is invoked as the guardian of the Church, that is, he is the one who guards the life of God in the Church in the same way as he guarded Jesus and Mary. Jesus affirms: “Do not forget St. Joseph with the burning Heart, my putative father on Earth, the righteous par excellence. No-one has ever been as righteous as him; his righteousness surpassed that of many others and the power of his spirit is immense. Mary and Joseph are Mother and Father for you on your journey as they were for Me, and to them I want to entrust you”. “I would like to speak to you about a very powerful weapon against the enemy, that is, the virginal silence within you. Silence and virginity always go hand in hand because no-one can enter true silence if he has no inner purity; however, to enter purity inner silence is necessary. What silence? Certainly not silence as absence of sound, but virginal silence. Silence is a very powerful barrier against the forces of evil. It introduces you fully into the life of the Most Holy Trinity; it forms a barrier around your soul and your body. Silence immerses you into the Trinitarian vortex. Understand this well: the vortex of the Most Holy Trinity attracts you and all that belongs to you; it attracts and transforms it. It transforms what is good making it even stronger and destroys what is evil. Evil, in fact, cannot resist but is destroyed by the vortex. You must learn to immerse everything in this vortex: all good and evil that are in you, in your soul as well as in your body; all good that passes through you but also all evil you touch. Throw it all into this vortex so that it may be strengthened or destroyed”. In another message St. Joseph also explains: “Who truly chooses chastity, chooses it until the end. I had no sexual interest in Mary; it never crossed my mind; God had neither planned nor willed it for me, and it would not have made any sense in God’s plan. So, I was given the grace to overcome every temptation, because God always gives the necessary grace to accomplish His work. Moreover, my bride was not like others: Her grace was of such purity that nothing blemished could be next to Her. The purity she emanated was comparable only to that of Jesus. When I observed Mary and little Jesus together, I could feel infinite purity emanating from them; they were perfect; there was not the slightest shadow of sin in them; they were completely immersed in God. My soul was satiated by so much perfection; therefore, I too reached immaculateness as the fruit of my path to holiness, but also through the extraordinary grace that I absorbed in my particular union with Jesus and Mary”. All the instruments of God, that is, angels, saints and righteous participate in the recapitulation of all things in Christ in this time. Their action is enhanced to be effective in the whole universe. United to them we too are strengthened. Each person reaches in God the realisation of their own identity and mission. In the Mystical Body all relationships between the persons are perfected in harmony. Mary Most Holy and St. Joseph are spouses in Christ mystically united to Him. Their spousal union in Christ is especially active in these times in which the Trinitarian action is powerful. So, their paternity and maternity in God can help all the sons and daughters of God in the universe. In this sense we expect the triumph of the Immaculate Heart of Mary. Therefore, it is good to always invoke Mary Most Holy and St. Joseph so that the communion of men and women in God takes place and reaches perfection. After this reading I hesitate to speak because the text is very easy and explains what the Church announced at all times and also how we can enter the Most Holy Trinity and participate in its work; it explains how we can carry on towards the new creation. Today two sublime instruments have been presented to us: Mother and Father on a spiritual level. This is the Will of God; no-one can transmit life except for the Father and the Mother. That is God’s order. I will add some thoughts, the first is: Our Lady is the first and only creature who united herself perfectly to the sacrifice of Christ; She looked beyond the sacrifice, She saw beyond it and prepared the way both for the apostles and for us in this time. Through her Immaculate Heart we can move towards Jesus, if we are ready; all the children are to pass through Her Heart, through the Mother, the new Eve, and unite to Adam, the new Adam. This is what the Church teaches, but the teachings are not enough – a response is needed, incarnation is needed. We have not presented you fantastic programmes by telling you experiences about UFOs, but we take you into the Heart of Jesus, to the feet of the Redeemer of the universe under whom the whole universe has to be submitted to be taken to God within the laws of the pure Spirit; there is no other way. In the same way as Mary Most Holy is very important for you St. Joseph is important. St. Joseph is in a way closer than Mary to us human beings because Mary was immaculate from the moment of conception. St. Joseph entered imacculateness through the acceptance of Mary’s immaculateness and the programme of God in Mary; he is an example for us. I will say no more on these texts; I will let you think about them as they will deeply enlighten you; however, I would like to stay with the experience of St. Joseph when he said: The purity she emanated was comparable only to that of Jesus. When I observed Mary and little Jesus together, I could feel infinite purity emanating from them; they were perfect; there was not the slightest shadow of sin in them; they were completely immersed in God. My soul was satiated by so much perfection; therefore, I too reached immaculateness as the fruit of my path to holiness, but also through the extraordinary grace that I absorbed in my particular union with Jesus and Mary”. I will take you to a concrete reality that is in the middle of us. 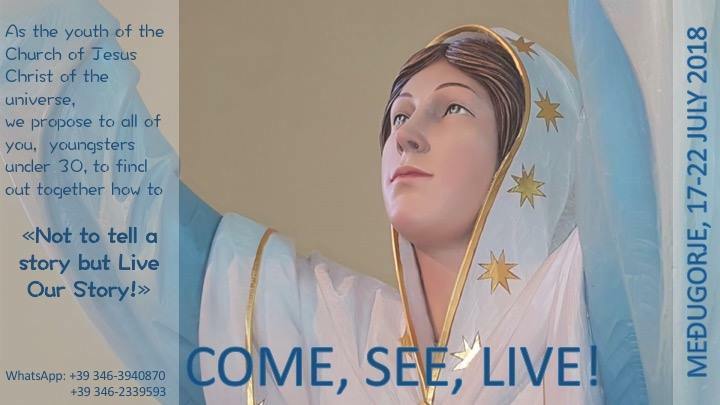 You all know that Our Lady is still appearing in Medjugorje. For many it is a mystery why She keeps appearing for so long, every day, and no-one knows when the apparitions end. She has communicated to us that the apparitions will take the whole universe to be recapitulated in Christ. Have we responded to Her presence? Have we absorbed as St. Joseph did? Where did we halt? At our earthly needs, at our discussions, presenting ourselves as wiser than the Mother of God, wiser than God, raising questions such as, why has He allow this or that, or, why has She appeared to that person? And we justify our own scandals by pointing to other people’s limits; and yet, we are as limited as them. Has the Church responded? Has the Church kneeled down before God to say, “Thank you”? I will give no response. I hope that you will be able to give your response. I have offered my life already at the beginning so that the apparitions of Our Lady took place in the Light of God and thanks to all those who have offered themselves along with me. What we have given you is the fruit of the offering of many righteous; I would like to end with the words you have heard in Medjugorje and which the Trinitarian Spirit has confirmed: “Everyone was asked to consecrate his life to God through the Mother’s hands; yet, not in the sense that men think, that is, by embracing a religious life, but in the sense of docile abandonment to the hands of Mary Most Holy to put God in the first place and above every other good and affection.” As a consequence of this new attitude we would see great things; it also says: “Our Lady would have entrusted the visionaries with some secrets that would have been revealed at the right time and in an adequate manner, which She would have explained Herself to the parishioners as they were progressing in their journey. In the meantime, God would have sent the angels and the brothers of the universe faithful to Him to visit the parish of Medjugorje to support the teachings of Mary Most Holy through their action on a spiritual and physical level. Medjugorje would have become the scene of an unprecedented choral action of the Mystical Body of Christ on Earth.” Has this come true? Do we want it to be realised in us, in the people called by God to join His plan through the Immaculate Heart of Mary, St. Joseph and the extraordinary instruments? The Holy Spirit confirms us that this programme will not stop; it will be fulfilled. Tomorrow Lent begins. What is the programme of Lent? None of all the practices of piety and all the suggestions we receive will lead us to the inner resurrection, nor to the cosmic Pentecost, if we do not follow the path of the Immaculate Mother who is united to Christ. Therefore, I call on you to give your response with sincere abandonment to the Blessed Mother to do this path and unite with the Risen Christ in order to rise again inside of you and experience the same victory as the apostles. We will follow you with our prayer; we will speak to you again and we will give more explanations; yet, we will wait for you to do your steps, and for the people to enter ever more into communion and set off towards the goal. I bless you; may you receive the Light in these times of confusion, hatred and insecurity. These times had already been announced. For you they may be signs of what is going to happen and of the time to make a choice: with Jesus Christ or with Lucifer. These times are preparing us to make this choice. I bless you; may you be able to take advantage of every occasion, every trial and every achievement in order to choose Jesus Christ. Mary Most Holy, the Queen of Peace, may help you; according to the testimony I have given in my book “Our Lady is alive in Medjugorje” I wish you to experience Her, as St. Joseph did, alive among you, and to feel the life emanating from Her; in the name of the Father, of the Son and of the Holy Spirit. Cfr. Message of Jesus of 22 March, 2008, entitled: “Mary Most Holy, Co-redemptrix of humanity” published on 2 February, 2010, on the website http://towardsthenewcreation.com . Cfr. “Beyond the Great Barrier”, page 220. Cfr. “The Universe and Its Inhabitants”, page 297.